I LOVE PIZZA! But I think that is clear. One of the things I love so much about this food is that there are infinite possibilities for how you can top a pizza. We mathematicians have a fascination with infinity. 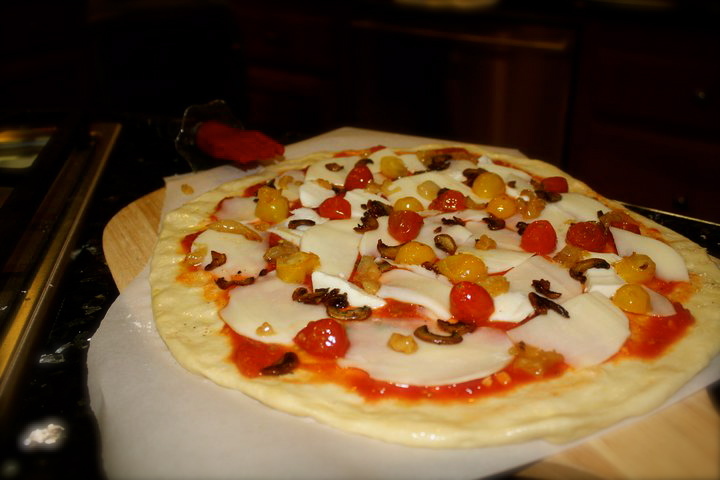 So here are some instructions for recreating a recent pizza I made…it was kinda an experiment but it turned out really good! If you are bored with the usual toppings, give this a try or let it inspire you to create your own combination. 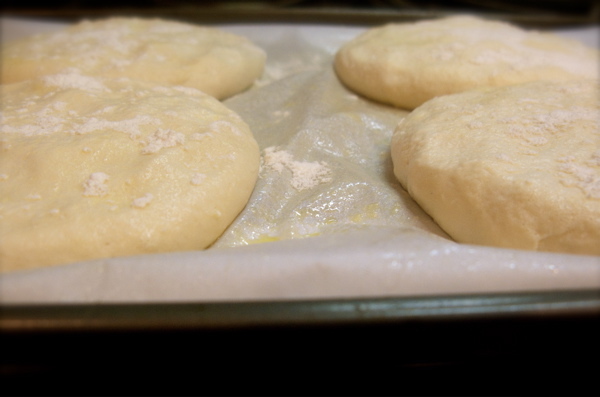 Place a baking stone in the lower third of your oven and preheat it to 500 degrees. Thinly slice your onion. 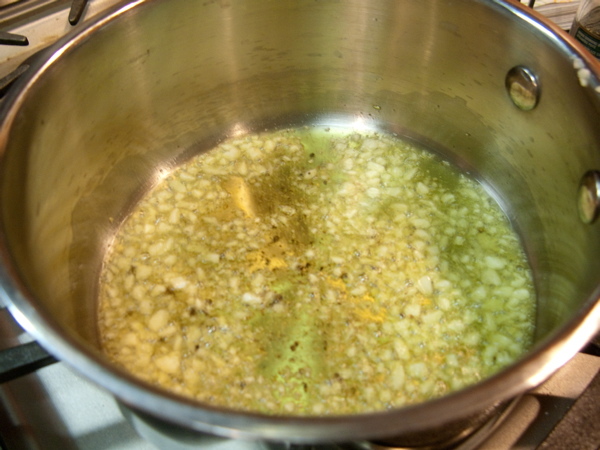 Heat a couple tablespoons of olive oil in a saucepan and add your onion and saute for 5-10 minute. Add some salt (about 1/4 teaspoon) and lower heat. Add lemon juice and cook on low for about 30 minutes until deep golden brown. 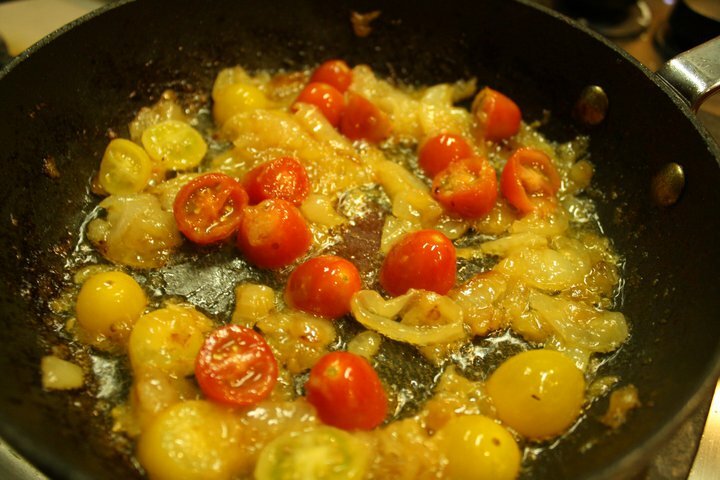 Cut your grape tomatoes in half and throw in the pan. Turn the heat up and cook for a few more minutes until the tomatoes are steaming. 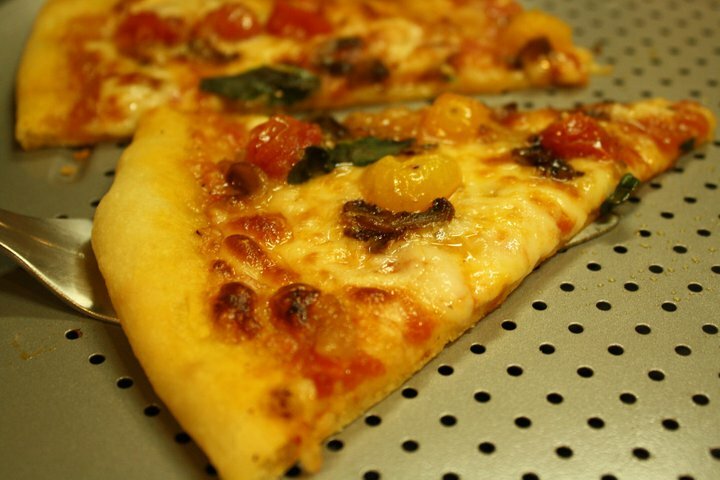 Remove from heat and let cool (you do not want to put hot toppings on a pizza…they will make it soggy). Peel you mushrooms and remove stem and slice thinly. 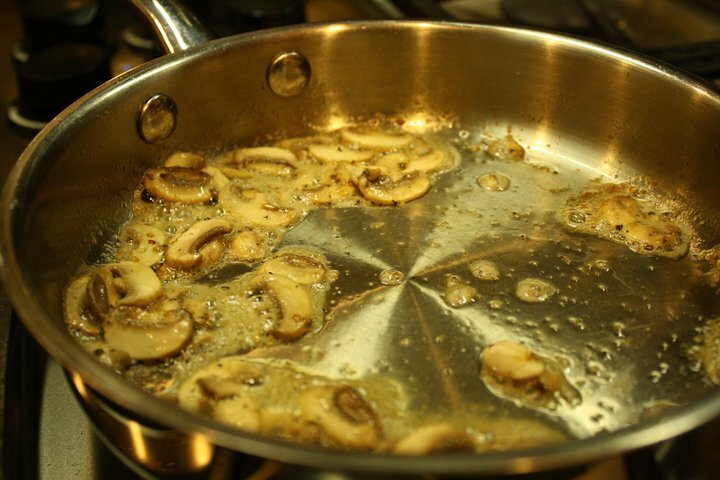 Heat a tablespoon of olive oil (or butter) in a sauce pan and add your mushrooms. Add a little salt and pepper and cook for about 6-7 minutes, until soft and browned. Remove from heat and let cool. 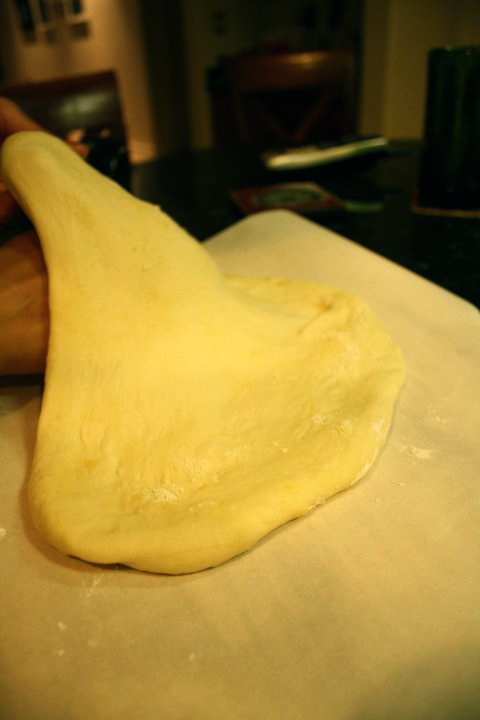 Stretch out your dough to make your pizza according to the directions in my pizza dough recipe. I like to do it on parchment paper to prevent any mishaps (the pizza won’t stick to the stone or your peel or even your baking sheet). Brush on a little olive oil and a sprinkle of salt near the edges. Spread on the sauce, add your cheese in a thin layer and add your cooled toppings. 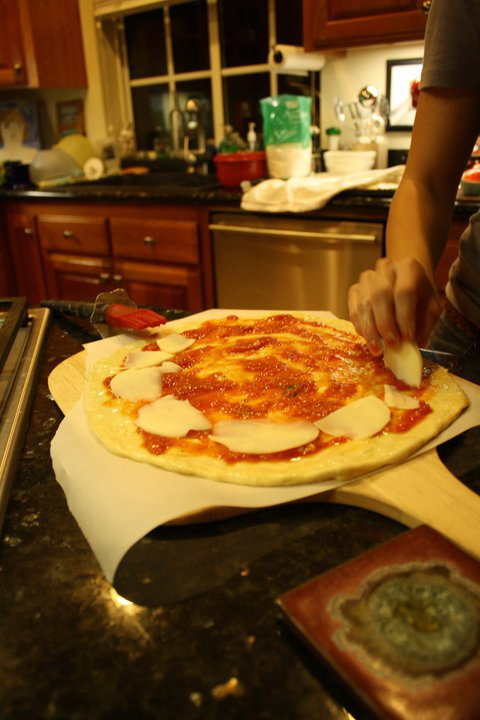 Slide the pizza onto stone using the peel or bake directly on a baking sheet. 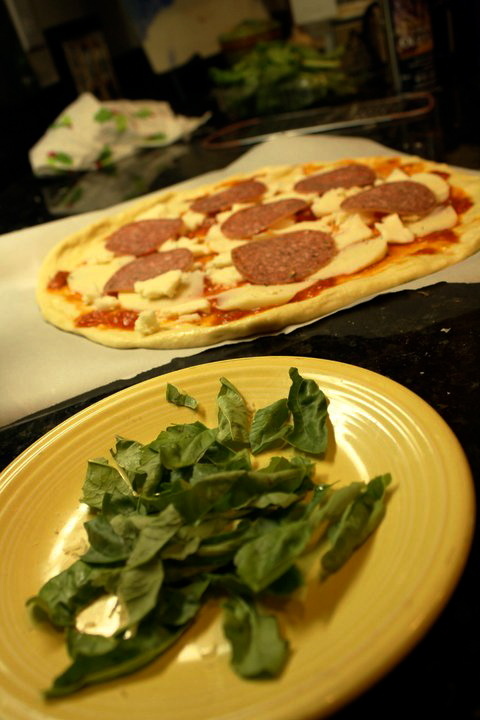 Bake for about 10 minutes, or until the crust is turning golden and the cheese is bubbling and turning slightly golden brown Take out of the oven (durr) and top with the basil leaves. Let the cheese set for a couple minutes and then cut up and dig in! How do you like to top your pizza?? I’m always interested in delicious and unique toppings! Let me know in a comment! As you can see, I’m a big fan of Sierpinski’s Triangle…but I also managed to make Cantor’s Dust, and a Fractal Tree! I know what your thinking…but really, I’m not that cool. I just love what I do. So this is my first recipe in a really long time! And I’m prepared to put up a few more soon! Look at me….so productive. Don’t get your hopes up just yet though. 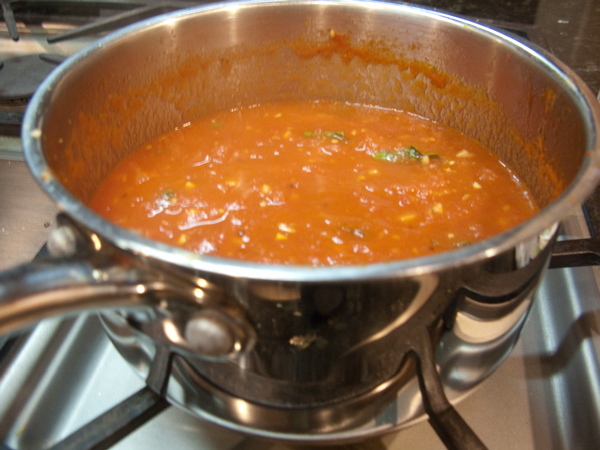 Anyways, rather than trying to convince you all that I love to cook, here is a recipe that I make often because 1) Pizza and pasta comprise most of my diet, and this sauce works on both 2) it’s so easy and 3) it tastes way better than the stuff in a jar. 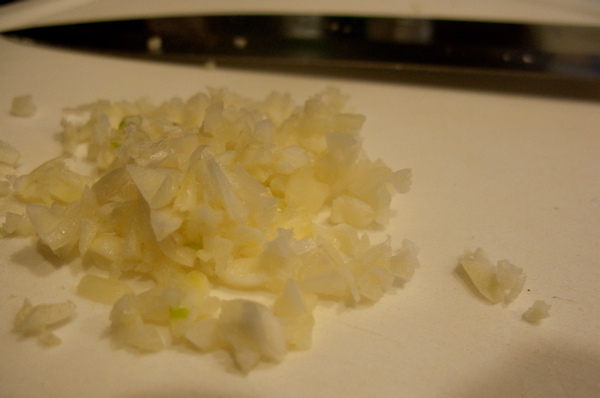 Finely chop your garlic, and heat your oil in a saucepan over medium heat (you’ll know it’s nice and hot when it gets a sheen/shiny-ness…I don’t know if that made sense….this stuff doesn’t translate well in writing). When it’s ready, throw in your garlic, salt and pepper. Keep it moving by stirring with a wooden spoon for about a minute until it becomes super fragrant. Be careful not to brown it, or worse, burn it. Then add your can of crushed tomatoes and the basil. Stir and heat til it comes to a simmer. 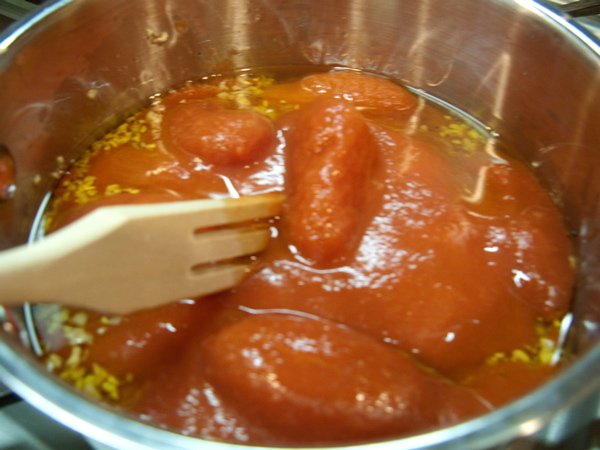 (If you added whole tomatoes like I did, use your spoon or fork to gently “smoosh” them against the sides of the saucepan until they are all pretty much crushed. This may mean cooking the sauce a little longer). Add salt and pepper to taste and remove from heat. 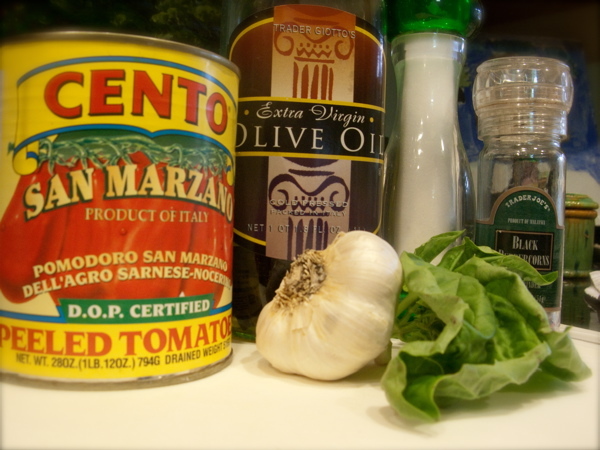 If you are feeling extra fancy, you can add some lemon zest…it really brightens up the sauce. Enjoy! 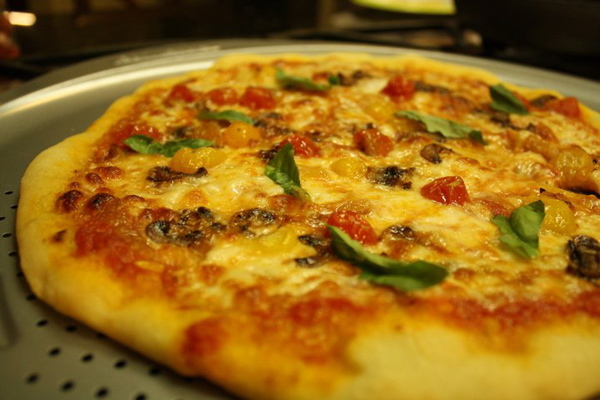 Okay, so I have been cooking up a storm here in my apartment in San Diego, and half the time I am trying to recreate some of my favorite flavors from Italy….mostly in the form of pizza! I finally made a pizza that I am proud of, and would love to share the recipe with anyone who would like it! 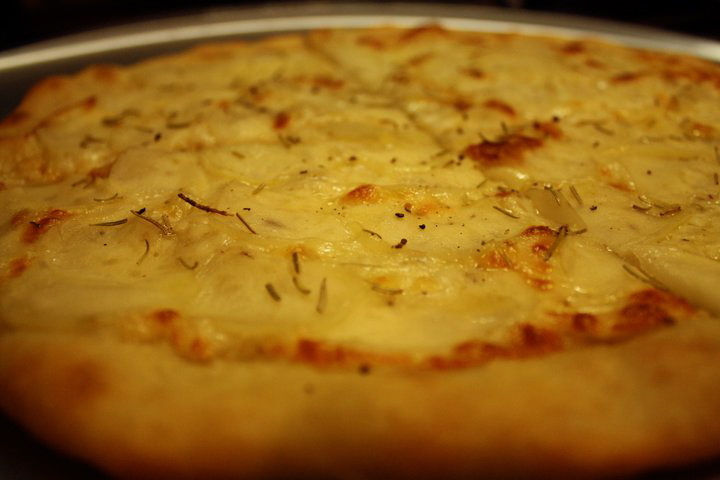 It is a recipe for Potato Pizza…one of my favorite things to eat in Rome, because you can’t get it at your average pizza place in the States….I have heard of only a couple places (not in California though) that serve it. But in Rome, almost every pizzeria would have it for sale. The pizzas were rectangular shaped and they would ask you how much you wanted, and you would show them. Then they would use scissors to cut it out and determine how much you pay by weighing it. So you could get a little of each kind of pizza you wanted without paying a ton of money! This was one of my favorite aspects of the pizzerias! Anyways, I would almost always try their potato pizza! 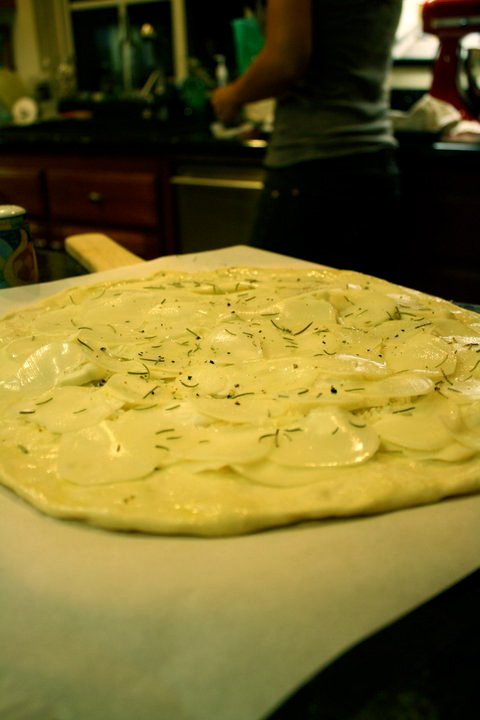 It was always on a thin crust (but not too thin), with a layer of mozzarella, a hint of garlic, thinly sliced potatoes, a little bit of salt and pepper and olive oil, and a couple leaves of rosemary. Really simple flavors that come together beautifully! After making it homemade about three times, I finally found a recipe I really like! The dough isn’t exactly like the kind I had in Rome, but still very good! It’s the kind where you eat the crust just because the dough is tasty too! So the recipe isn’t too hard to follow but it can take a little bit of time! Give yourself about an 1hr and a half for the dough to rise once, and another 40 minutes to prepare the toppings while the dough rises again! Enjoy! After yeast and water have sat for about 5 minutes, mix the flour with the salt and pour into bowl or bread machine, and then add the olive oil and honey. For bread machine, turn it on the dough cycle and let it do all of the work! (If doing it by hand, mix until the ingredients are all incorporated and then transfer the dough to a floured surface and kneed for about 10 minutes. Then form into a ball and cover with tea towel and let it rise until doubled in size, about an hour.) After risen, divide into two balls (unless you can make a humongous pizza!) I put one in the fridge for later, but do what you want! Then kneed the dough for just about a minute and then form into in a log shape, placed it on a well oiled baking sheet (I used my olive oil…better flavor!). Let it rise for another 40 minutes to an hour while you prepare the toppings! 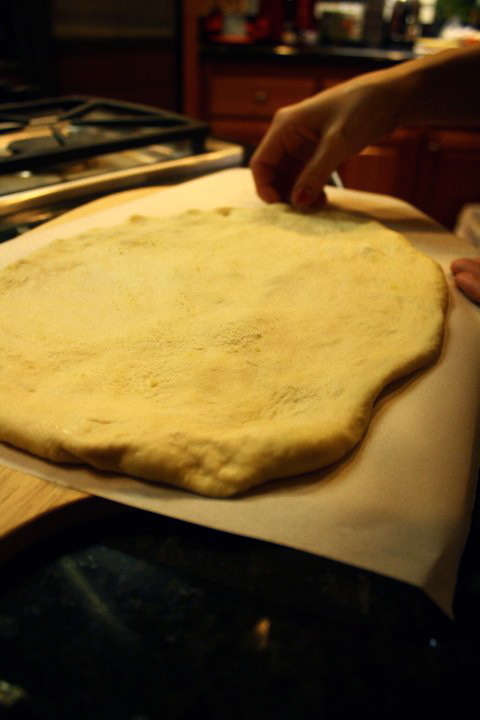 Then using your hands, stretch the dough across the baking sheet…getting it as thin as possible! 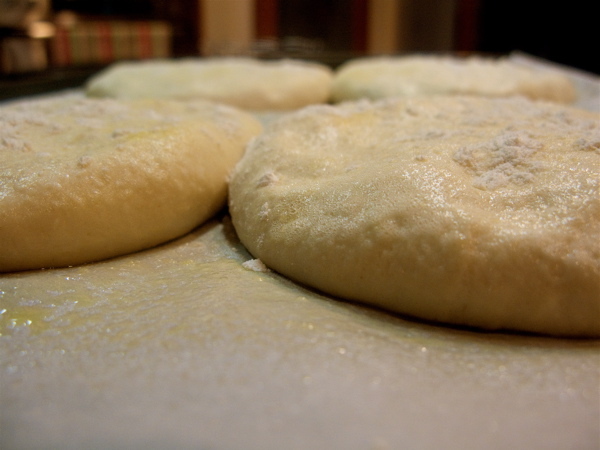 One portion of the dough should be enough to almost cover a 12″ baking sheet. 1 medium potato (for one pizza, 2 potatos for two pizzas). 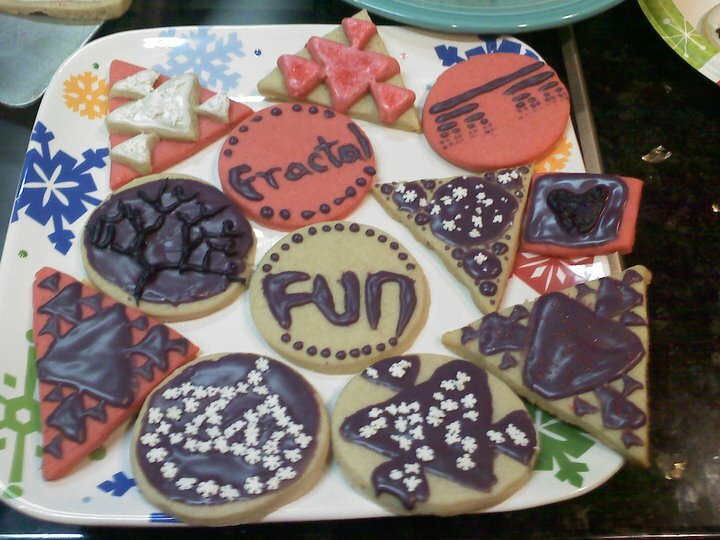 You can use red or gold…all taste great! Preheat the oven to 475 degrees. Peel the potatoes and using a very sharp knife, cut rounds as thin as possible! (see-through, like potato chips). This is probably the hardest part, but not too hard. It helps to cut a small sliver off one side of the potato, so the potato is easier to hold down on the cutting board (like giving it a base to rest on). Place the potato slices in a bowl and give them a couple baths of ice cold water to remove any excess starch. Drain in a colander and place back in the bowl. Mix in about a teaspoon of salt (2 for two potatoes) and let sit for 10 minutes. After that, drain any more water in the bowl (the salt helps to remove the excess water). 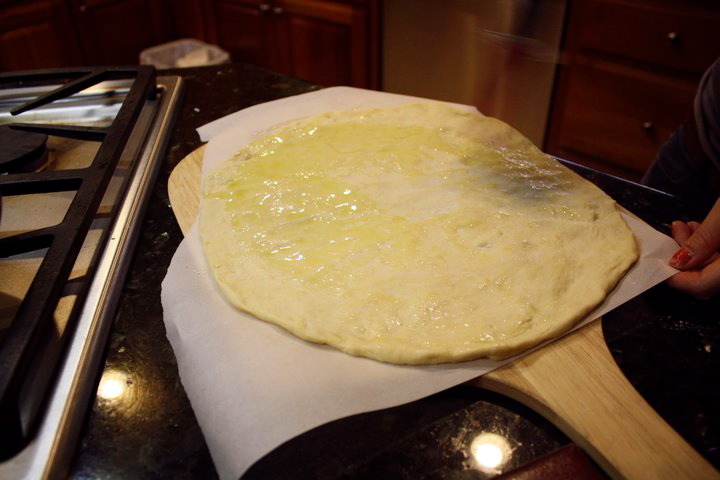 Then toss with about a tablespoon of olive oil (2 tsp if using two potatoes), and let sit while you spread the cheese over the dough. 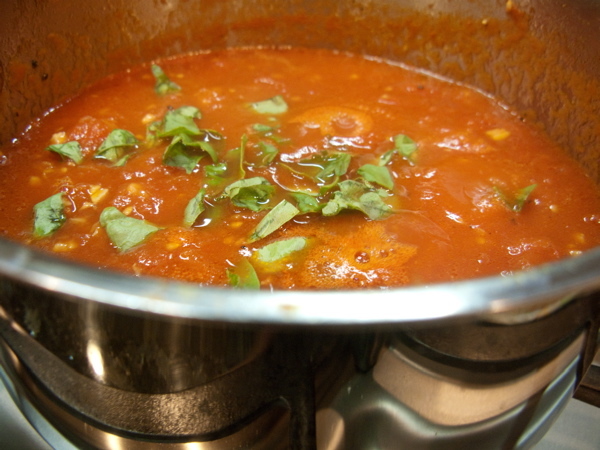 After the cheese, spread the minced garlic over it…use as much or little as you like. I like a nice hint of it, so I use about 1 tsp per pizza. Then finally place the potatoes on. One layer of the potato slices is perfect…you want them to be able to get softer in the oven, so don’t stack them. Then a pinch of salt and pepper on top of the pizza, and then the leaves from a small to medium sprig of rosemary. I also brushed a little olive oil on the edges to get the crust to have a nice color and taste. Bake on top rack (placed about 1/3 of the way down from the top) for about 10-15 minutes, until the crust is golden brown. Using a cheese grater, shred up the whole zucchini, place in bowl and mix in about a teaspoon of olive oil. Follow the directions above for topping the pizza, but instead of the potatoes, spread the zucchini across the pizza, then top with a pinch of salt and pepper, and bake for same amount of time. This kind of pizza was also very popular in Rome at the pizzerias! I made my pizza half and half! Also, experiment with other similar veggies and toppings! 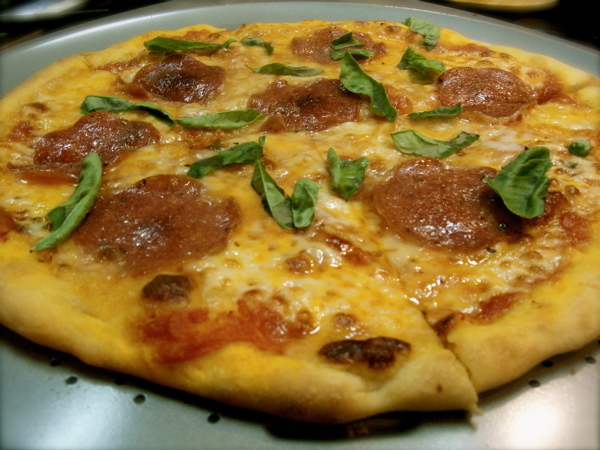 This is a great dough and I’m sure it would work great for any kind of pizza! It is thin though, so careful not to overload it with too many toppings, because it won’t hold up like a thicker crust would! Anyways, hope you can use this recipe and enjoy it! Let me know if you do! Buon Appetito! (The recipe has parts borrowed from SmittenKitchen.com (http://smittenkitchen.com/2008/06/jim-laheys-potato-pizza/) and SavoryReviews.com (http://www.savoryreviews.com/2009/05/19/basic-pizza-dough/) but with my own tweaks and twists!